Homemade 20 metre band loft dipole! 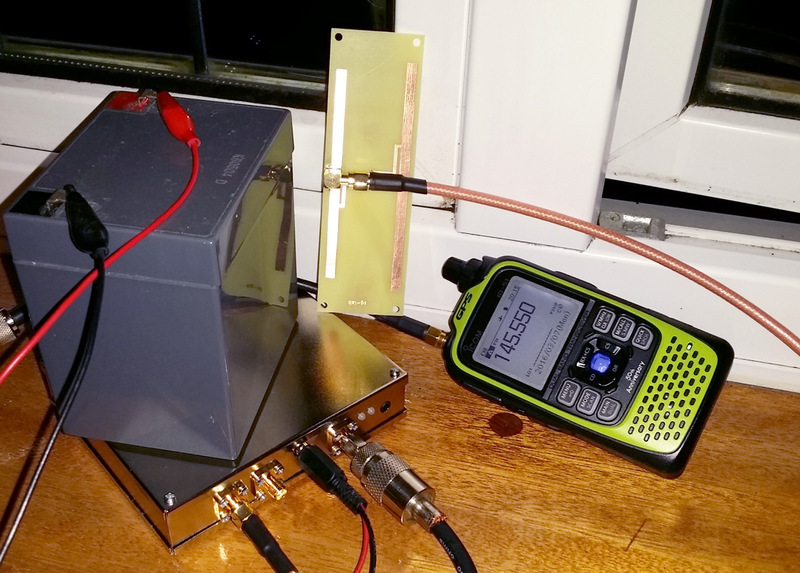 My first 23cm 1297MHz contact! I recently purchased a 23cm transverter from SG-lab. It’s a 145MHz IF with a L.O. frequency of 1152MHz (default; can be changed). Output power is 2w. Tonight, I had my first QSO on the 23cm band with it with two friends who both have the same transverter, G7UVW and M1GEO. I used a Yaesu VX-6 for the IF, but that went flat, so I switched to the Icom ID-51, which is set to record all QSO’s, so there is an MP3 below! The transverter comes with a HB9CV antenna etched on a PCB which works really well. I had the ID-51 in one hand and the antenna in the other, holding it out the window. All three of us had the same setup holding the antenna out of or near a window. I first spoke to David G7UVW at 2.2 miles and then George M1GEO at 1.2 miles. Signals were good all round, although it seems the best signal between G7UVW and I was via reflecting off a school building opposite me (or something, the peak signal certainly wasn’t in his direction!). We are all very happy with the result. 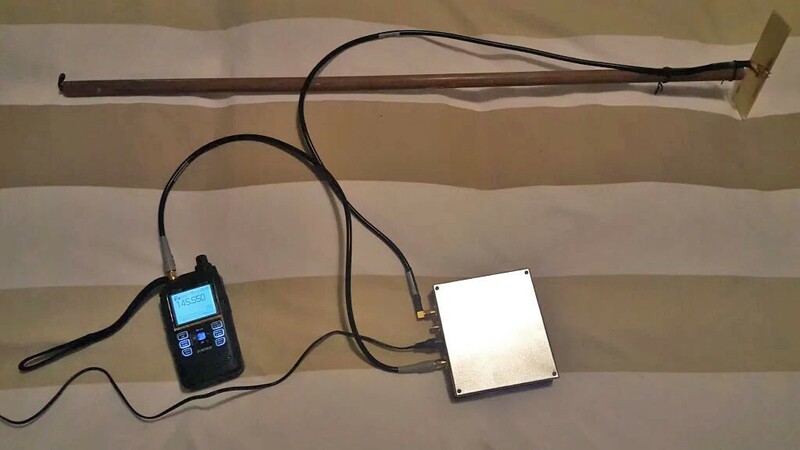 I am now going to build a couple of Yagi antennas, look at getting a PA and try out some of the 1.3GHz UK Activity Contests in the summer. My first couple of 23cm QSO’s using a 2w transverter and a handheld. The setup of George M1GEO with the HB9CV on a broom stick boom! Update: The next day, George M1GEO took his transverter up to the 12th floor at UCL in central London. We made contact easily again both with 2w and a HB9CV antenna, over a distance of 14km. My Raspberry Pi Home Server! M0UKD Amateur Radio Station Information Page © 2007-2017.